Inflammation vs. Arthritis: Which Problem Does My Dog Have and How Can I Fix It? 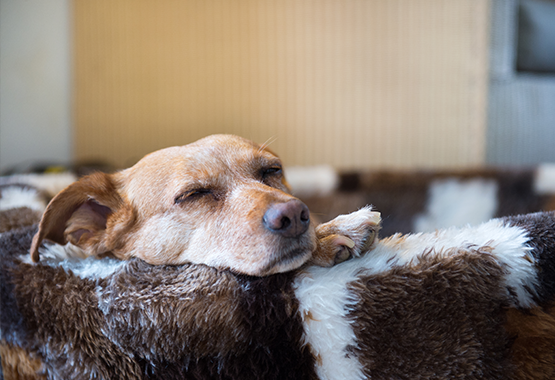 When a dog shows signs of pain - such as limping or resistance to exercise – the first instinct of an owner is to assume the dog is suffering from arthritis. 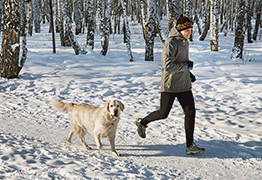 Since there is an overabundance of supplements on the market for treating the pain caused by joint or cartilage damage, this disease seems like an easy-to-fix problem. However, when the dog does not show signs of improvement despite consistent supplementation, the pet owner often grows frustrated and spends more money trying to solve a nonexistent problem. 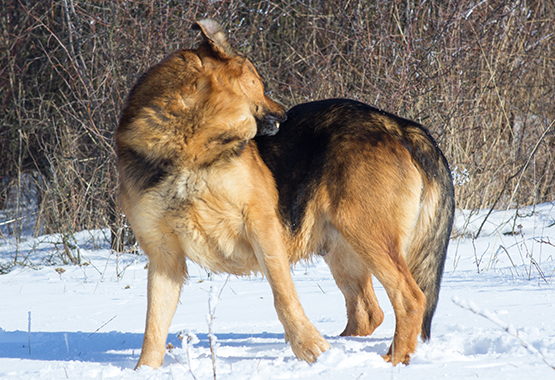 Instead of arthritis, the dog is likely suffering from chronic inflammation. Here, the differences between the two conditions will be discussed, as well as how to treat your dog. However, chronic inflammation not only mimics many of these symptoms but can exacerbate pain when arthritis is truly present. If inflammation and arthritis have similar symptoms, how does one know what to treat? Generally, any dog that is suffering from arthritis will also be suffering from chronic inflammation to a varying degree. There is a possibility that a dog showing signs of arthritis may not be suffering from arthritis at all. Rather, the inflammation may have simply settled into the dog’s joints. Therefore, treating inflammation from the outset is ideal. In addition, new research has suggested that the most popular treatment for arthritis, glucosamine and chondroitin supplementation, doesn’t actually work. Other popular arthritis treatments that have shown promise for improving the lives of arthritic dogs are coconut oil and turmeric. Interestingly, these two food supplements are proven anti-inflammatories, which begs the question of whether the dog is simply showing improvement because inflammation was the root cause. However, coconut oil should not be given to dogs because of its high-fat content, the potential of allergy, and the risk of pancreatitis. Similarly, turmeric is not suitable for all pets, especially those with blood clotting disorders. In the past few years, numerous turmeric brands have been recalled for unsafe levels of lead, which makes this form of supplementation even less safe. 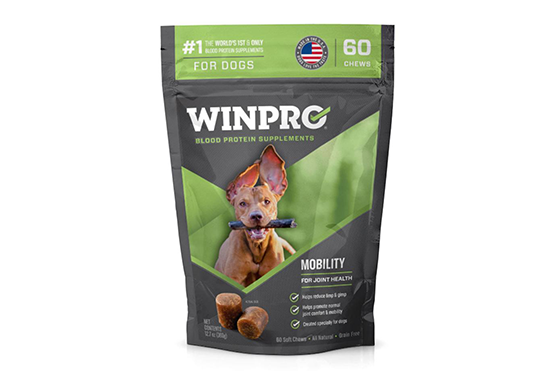 Instead, the safest – and only – guaranteed way to treat inflammation in dogs is WINPRO® All-Natural Blood Protein Supplements. WINPRO is comprised of FDA-approved animal-blood proteins that are proven to immediately go to work in the gut to reduce inflammation. Unlike other supplements, these proteins stay in the gut without passing through. The result is a fast-acting supplement that has no side-effects. Whereas nutritional supplements require 6 – 8 weeks to show results, WINPRO users will see results within a matter of days. In addition to animal blood proteins, WINPRO supplements contain active ingredients that go to work as soon as the inflammation is reduced. In the Mobility formula, balanced collagen supports joint health. 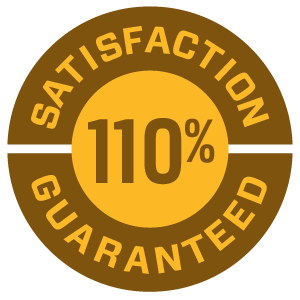 WINPRO supplements are made in the USA and backed by a 110% money-back guarantee. Ultimately, if your dog is showing the signs of arthritis, treating inflammation is important. With fast-acting WINPRO, dog owners should see an improvement in their dog’s condition much faster than when treating arthritis alone!